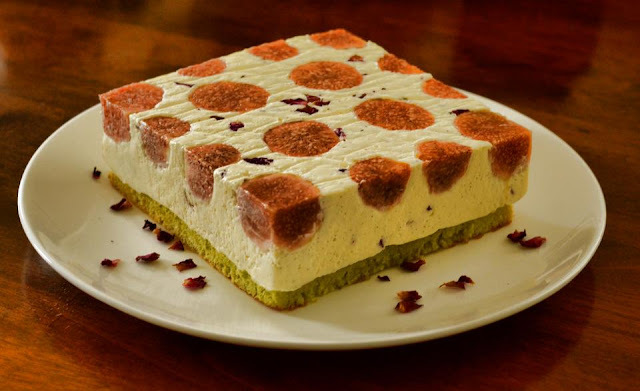 White Chocolate Rose Mousse with pistachio Jaconde. | . White Chocolate Rose Mousse with pistachio Jaconde. Gevulde Speculaas : Spiced Almond cake.